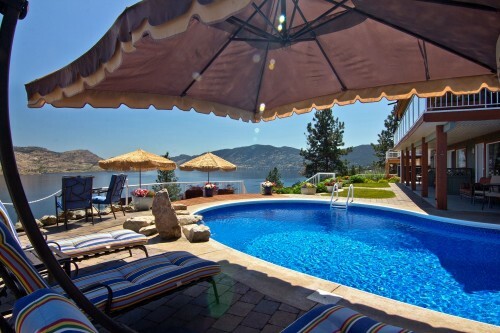 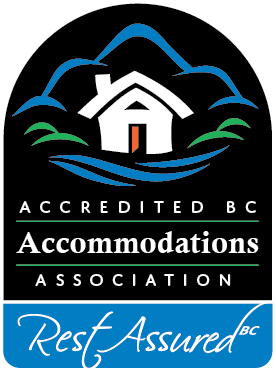 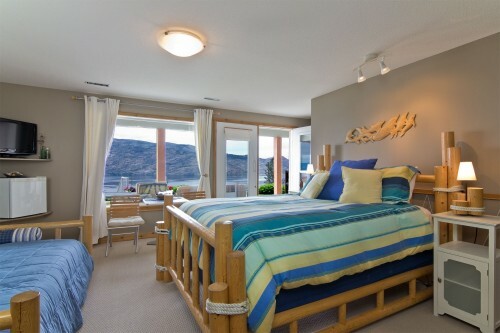 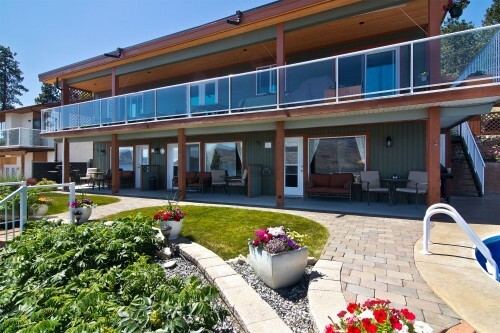 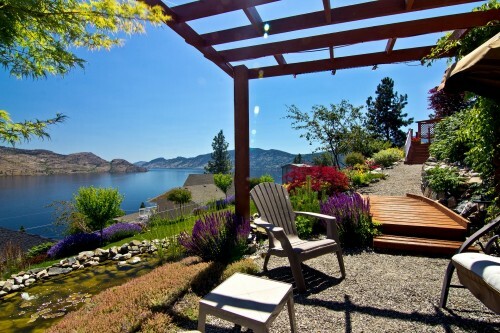 Located in Peachland BC, Okanagan Oasis B&B, an adult oriented mini-resort, is not your typical B&B! 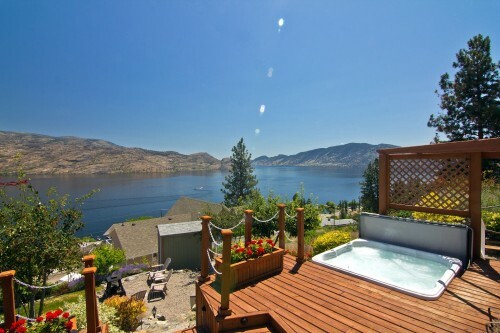 Featuring amenities such as a heated outdoor salt water pool, hot tub, fire pit, pond & waterfall, lovely gardens and the fabulous lake view from all rooms, our B&B is truly a place to relax and unwind. 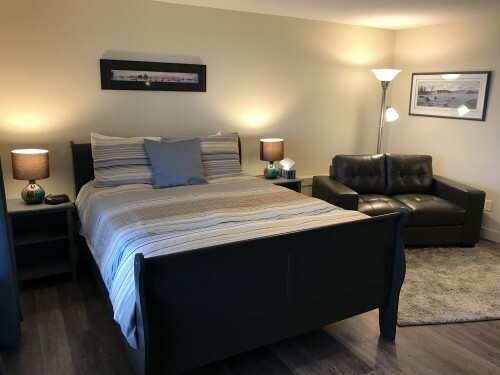 B&B Rooms feature private entrances, patio sitting areas, propane BBQ’s, A/C, TV/DVD, mini-stereo with CD/iPod and so much more. 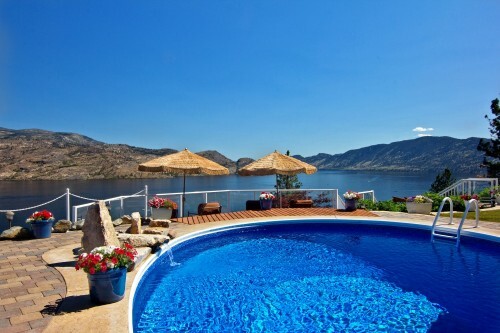 As well, we feature free high speed WIFI. 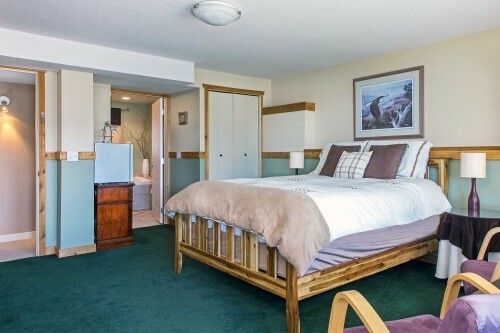 The B&B guest lounge has seating for 6, a TV with DVD/VCR, and a small library with a collection of books and games.